It’s always delightful when it’s time to look for a new car. Before you sign the purchase order, consider reading these few considerations as they might be useful. 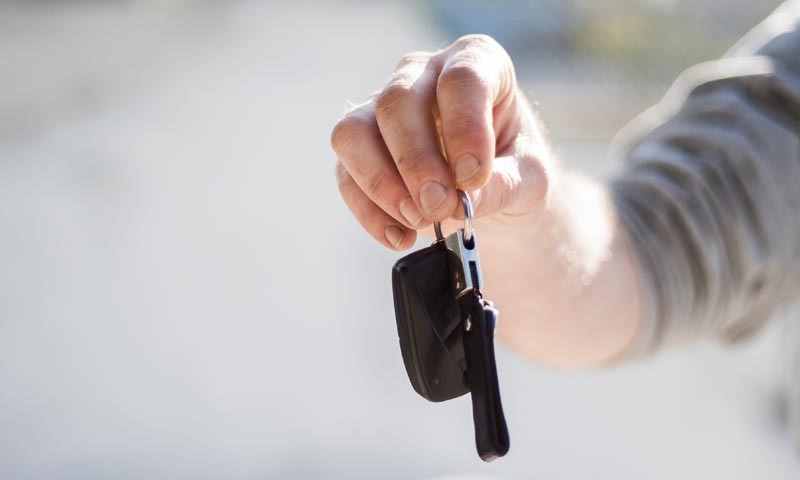 The following quick tips may be useful for a car buyer to get most out of a new car transaction. Here we go. 1. Set and stick to a definite budget. Keep the budget for the new car within reasonable limits. Contact a financial advisor (or lease company /car loan officer) to find how much you can actually spend on a car concerning your financial condition. Money doesn’t lie. If you cannot afford a higher priced car, pushing yourself to buy it can hurt your financial condition and ruin your family ride enjoyment. Consider costs carefully as in the number 2 below. 2. Include all costs when calculating a budget. Anything we purchase will involve 4 costs: (a) purchase, (b) accessories, (c) maintenance, (d) replacement cost. For a vehicle, it may include vehicle tax, delivery, title, insurance, fuel, service /maintenance, repair, accessory costs. For a family car, it is always advised to look for vehicles which are highly reliable and have low maintenance cost. 3. Consider the brand with the least hassle to help maintaining the car. Other than being highly reliable, having a workshop which does not give you hassle is also important. Look for information about which car manufacturer has a good workshop network, with good service for its customers. Also consider a good workshop which is located not far from your home /office. Keep in mind that it is actually transportation service and reliability that we buy, not the car. 4. Hold back your desire for car accessories. The easiest way to sell socks is selling them to consumers buying new shoes. Why? Because during a purchase, the consumers are somewhat delighted with getting a new stuff, and can be lured easily to ‘perfecting’ the main purchase object. And the cost of new socks will ‘diminish’ when viewed from new shoe price stand point. If the accessories do not add any function except for looks, leave them on the table. Consider to add accessories after you have the car for 6 months or so. Fancy wheels rarely have impact on a family ride. It is better to spend money on traveling with the family than having fancy wheels to pose with. However, any fuel saving /monitoring device might be useful for saving fuel. 5. Know which accessories which will actually be yours. In some countries, several manufacturers set two accessory categories. One is standard accessories from the dealer, the other is at the salesman’s account. Dealer’s standard accessories will come with the car regardless which salesman of the same dealer sells the car. These may include an external GPS, alarm system, or even bonus power mirrors for lower trim cars. Other lighter accessories may be bonus at the salesman’s courtesy. These may include extra carpet, trash bin, or car cover. The dealer’s fitted accessories cannot be removed. If you ask the salesman to exchange an accessory for a rebate or something else and he strongly declines, it is probably an accessory from the dealer, not the salesman. A common sample of this is extra rustproofing. 6. Consider choosing the smaller engine and the lowest trim. For a particular make and model, the lowest trim with a smaller engine costs much less. Price difference between the least and the most expensive one can reach about 50% of the lowest trim car price. Yet people hauling capability is usually the same. A smaller engine consumes less fuel. Maintenance and other costs are also lower. Vehicle tax may be less too. The car can still haul the family anywhere just like the more expensive one, only a bit slower. I’d consider this as longer family car time that comes with free extra fuel. For tips on saving money on fuel see this article. 7. More discount may be available on end of month, or at the early days of a month. Sales people usually have monthly target. If a salesman is already near or has exceeded his target nearing the end of a month, an extra discount may be thrown. This is even more prominent for annual target as below. 8. The largest discount is there at year end, or at the beginning of a new year. This is the time the dealer tries to reach or exceed its big annual target. It is the time where dealers throw the largest discount, and usually grants extra discount a customer asks through his salesman. 9. More discount for end of model life. During a model change, buyers may be given extra discount to finish off with the last model. Car dealers will need to concentrate on new model and are more eager to clear the last model stock. 10. 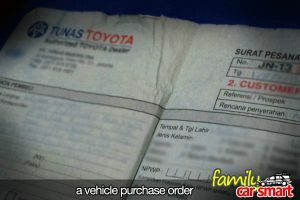 Ask for discount on ready stock cars. Ready stock cars help the customers getting their cars sooner. But they also relieve the dealer from the hassle of searching for cars that fits customer’s order (about how new cars are distributed, see here). The ready stock car completes the salesman’s job faster. It is a benefit for both the customer and the dealer, so the dealer could be wise and kind enough to share its benefit for you. I expect these tips man help in increasing benefit on buying a new car. There are certainly many other tips to maximize the benefits on new car purchase. If you have any experience or useful tip, or a comment or suggestion, please do not hesitate to leave a comment below.